After having used the SoftNAS marketplace solution for several years now, I have to say that the support we've received thus far has been nothing less than spectacular. For anyone in the market for a cloud-based storage solution, then SoftNAS should certainly be worth considering. We are using this service for internal file sharing and archiving. Happy with Softnas customer support so far, as they make this usable even with limited technical knowledge. Good product and saw much faster IO throughput than we were getting with EFS. There were a few minor issues getting the HA setup working but support was helpful in answering my questions. SoftNAS Cloud for AWS is the leading cloud NAS on the AWS Marketplace. great to know that High-Availability is included at no extra cost for AWS users greate featur 1 Terabyte (TB), NFS, CIFS and iSCSI with great support. I find this great product. having a shared CIFS and NFS for a bunch of webservers is what everyone is looking for. Easy to set up and running in a few moments. As our ever expanding AWS infrastructure required a better way to centrally store files with the requirement of high availability, we decided to choose SoftNAS. Since day 1, the team at SoftNAS have been great in answering our questions, assisting with reviewing our architecture and minor teething issues we had at the start. I would highly recommend that anyone who has the requirement of centralized storage in the cloud for your applications to consider SoftNAS. We were looking for a solution that would allow us to use S3 buckets as a network drive and this is perfect. The support is excellent, we've had a few issues with upgrades due to an unusual configuration but, the support team has always responded to and dealt with these quickly and efficiently. A great solution to storage needs on AWS. Performance is excellent and setup easy using the simple web interface but there is also a full API and advanced feature support as well for those that need it. I am usually not a person that writes reviews about products. However, in this case I felt compelled to do so. 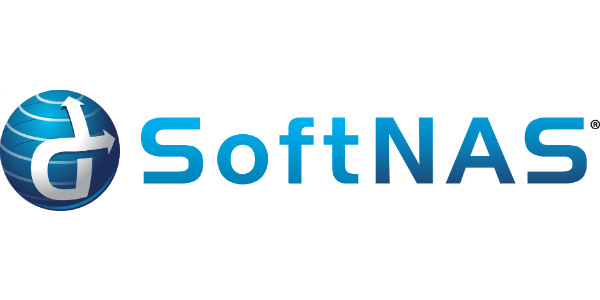 I was searching for a cloud NAS solution when I came across SoftNAS. During the install I had a few assumptions and contacted their support team to confirm or deny them. All I can say is WOW!. They answered every question I had. Were professional and very fast. They even talked me through some things on AWS and helped educate me all the way. What a top notch organization. Way to go! We are ratifying the tool, but from the beginning we have good support and this makes me very satisfied.